K was trying to see a bunch of Oscar films in advance of the awards and some were better than others. 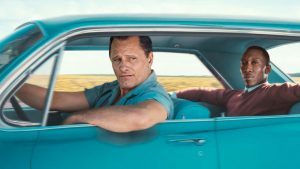 The Green Book was interesting to watch, but I didn’t appreciate the story focusing on Viggo’s character as opposed to Mahershala’s character, who I found much more interesting. I only made it to the middle of the movie before I fell asleep, and I don’t have much will to return, even though it won the Best Picture Award. 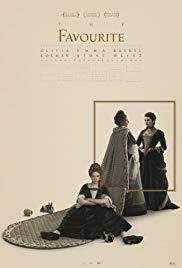 The Favourite was spectacular, a film about a queen and two servants and the fights that they have with one another. I loved everything about this film, from the editing of the film, to the camera work, to the acting. Olivia Colman won the Best Actress for this one, and it was well-deserved. I enjoyed Bohemian Rhapsody as well, but not nearly as much as the awards lent it credence to. I enjoyed the music and the story, though it didn’t hit me as hard as I would have liked. Still, a worthwhile film. 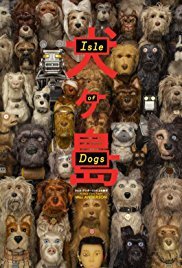 This film was stellar, and everyone should enjoy it! !